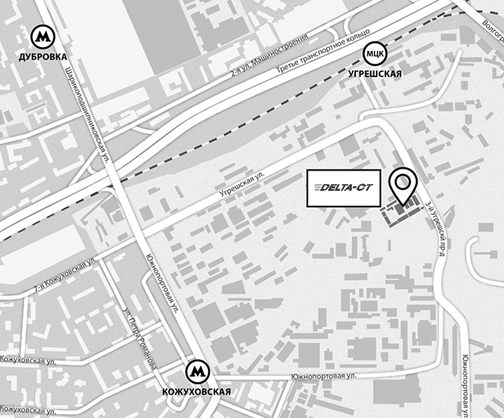 The entrance of the Delta-CT company is 850 meters away from the Ugreshskaya station (MCC). After leaving the MCC station turn left, go downstairs and walk straight ahead to the central entrance. To get access to the company area the temporary passes should be issued. Friday – 8:00 a.m. : 4:00 p.m.